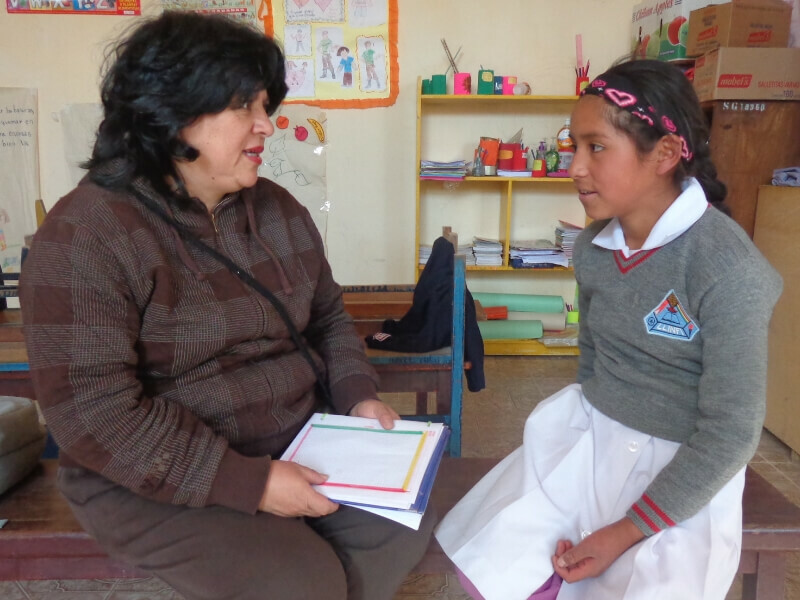 Rodriguez is on the frontline fighting against gender-based violence within families in the community – an intervention supported by Canadian Feed The Children and local partner IPTK. It is critical work in Bolivia, which faces the highest rate of violence carried out by partners against women in Latin America and where advocates have demanded that the high rates of femicide in the country be declared a national emergency. Together with Canadian Feed The Children and IPTK, Rodriguez runs workshops in the community where women and men learn about violence prevention in the home, healthy relationships, conflict resolution and women’s rights. 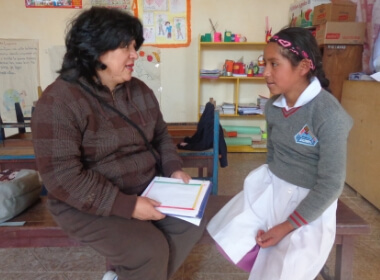 Children are also taught about their own rights and are empowered with resources and support networks that include professionals like Rodriguez to help keep them safe. But efforts to change the landscape of gender-based violence on the ground like those Rodriguez are leading with support from local and Canadian organizations must be met with actionable policy changes at the governmental and intergovernmental levels. Despite promising changes by Bolivia’s federal government to strengthen laws around the prevention of gender-based violence and protection of women and girls, the country has faced what recent research from Oxfam Canada has called “an implementation gap” – governments failing to fulfill their legislative obligations. 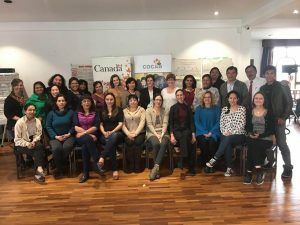 COCAB Canadian Coalition members come together for a three-day training on Gender Based Analysis organized by the Canadian embassy in Bolivia on November 13th – 15th 2018. Oxfam Canada calls upon civil society organizations to strongly and continuously urge and work with governments to uphold their obligations. And Canada’s new Feminist International Assistance Policy (FIAP) may help provide the tools to do just that. This commitment led Canadian Feed The Children’s Bolivia Country Director Shirley Estevéz, representatives from partner organizations IPTK and SCSJ, and 20 other COCAB Canadian Coalition members in Bolivia to come together for a three-day training on Gender Based Analysis organized by the Canadian embassy on November 13th – 15th 2018. Participants were trained in gender analysis tools imperative for the successful implementation of feminist policy and took part in discussions on how to better promote policy dialogue towards gender equality. The participants agreed that governments must include gender analysis in policy-making to make sure women and girls have equitable access to justice. 16 Days of Activism Against Gender-Based Violence (November 25 – December 10) is an international campaign that brings together voices from around the world to call for the prevention and elimination of violence against women and girls. 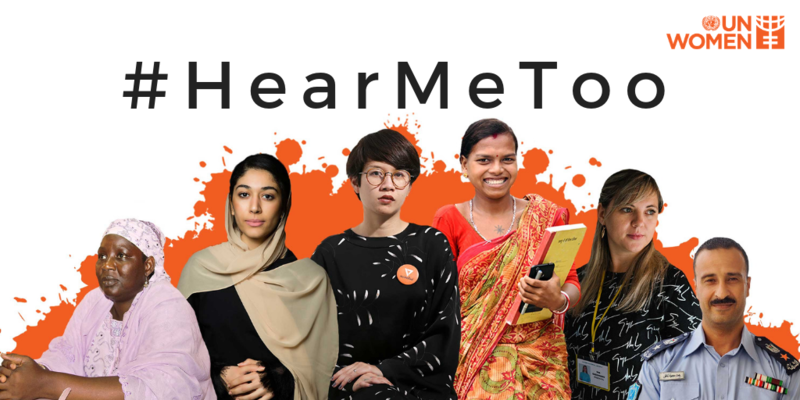 This year’s #HearMeToo campaign builds upon grassroots efforts from activists and survivor advocates to raise visibility of survivors’ stories to overcome the stigma of gender-based violence – just as Rodriguez encourages the women she works with to speak up in Sucre, Bolivia – and drive transformational global change. With new tools and feminist commitments from the Government of Canada, and a renewed global call for change, civil society organizations like Canadian Feed The Children are poised to take on a lead role in fighting against gender-based violence in partnership with survivors, activists, local organizations and governments. Canadian Feed The Children supports community-led initiatives in Bolivia, Ethiopia, Ghana and Uganda and partners with other civil-society organization (CSOs) to counter gender-based violence. Learn more about how we work in partnership with CSOs and communities for greater gender equality.